EU commissioner concerned by new NGO's law and websites blacklist | Russian Legal Information Agency (RAPSI). BRUSSELS, July 13 - RAPSI. European Commissioner for Home Affairs Anna Cecilia Malmstroem expressed her concern on Twitter on Friday over Russia's adoption of a law branding non-profit organizations "foreign agents" and a "website blacklist" containing information banned from distribution in the country. The State Duma passed in the third reading a bill on granting a foreign agent status to nonprofit organizations financed from abroad and involved in politics at its meeting on Friday. On Wednesday, the State Duma approved in the second and third readings a law on setting up a single registry of domains and websites with illegal content. The registry will be established as of November. The Internet community reacted negatively to the bill, fearing government censorship. Wikipedia staged a protest as a result, temporarily shutting down its Russian segment on Tuesday. 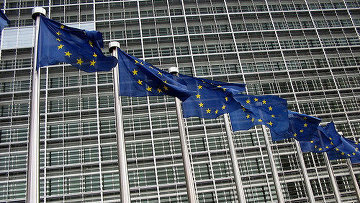 16:57 13/07/2012 European Commissioner for Home Affairs Anna Cecilia Malmstroem expressed her concern on Twitter on Friday over Russia's adoption of a law branding non-profit organizations "foreign agents" and a "website blacklist" containing information banned from distribution in the country.